The Hotel Indigo in Newcastle, UK, is much like any other hotel: expensive mini bar, pointless shower caps, and bed sheets that take 10 minutes to get under. Until you peer into the beside table that is, becasue, in the place of a bible, there's a Kindle waiting to be read. Claiming to be the first hotel to offer up e-readers in place of bibles, they're available in every one of the 148 rooms, reports the Telegraph. 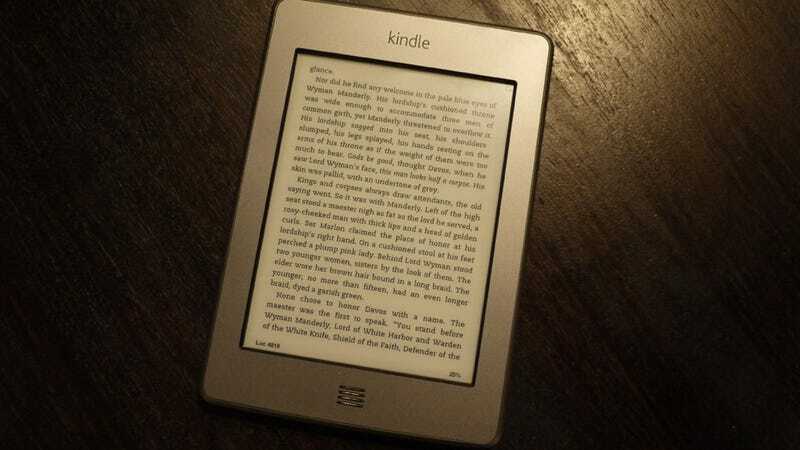 The Kindles come loaded with copies of The Bible, and guests are also permitted to download any other religious text to the device as long as its value doesn't exceed $7.50. "In the 18th Century, Newcastle was one of the largest print centers in Britain and we're in Grainger Town, close to the Literary and Philosophical Society. We wanted to reflect this literary history in a very contemporary way, so are offering guests the use of cutting-edge Kindles pre-loaded with The Bible, instead of the more traditional hardcopy Gideon's Bible that they would expect to find in a hotel."